For long or thick hair we recommend using two packs. 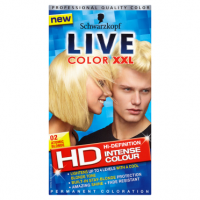 Experience true HD colour and take your vibrancy to the max! 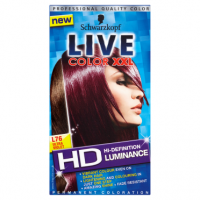 Live's HD-Vibrant Pigment Technology intensively saturates each hair strand for high-definition, extra long-lasting, intense colour that's highly fade resistant. Say goodbye to dullness with the new ultrashine HD after treatment. 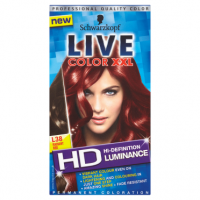 For colour that stays vibrant and shines! 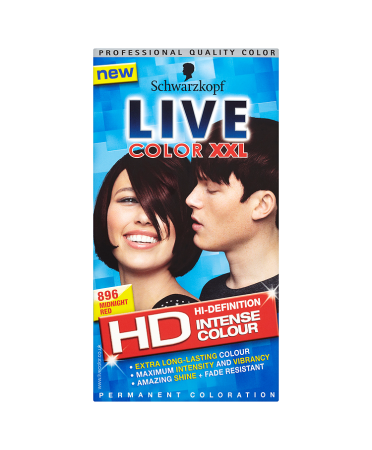 Stand-out with extra long-lasting, intense colour captured in rich, vibrant HD detail. With amazing shine! 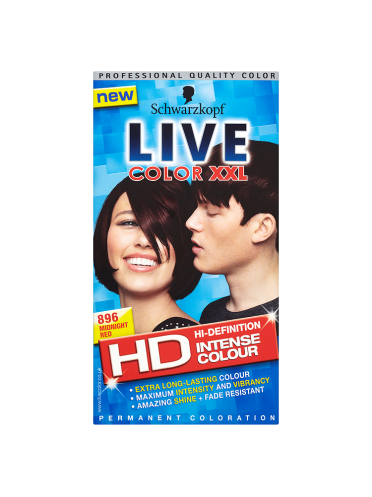 The colour result will depend on your natural hair colour. 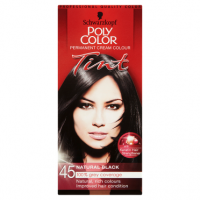 The table on the back of the pack provides an indication of the colour result that can be obtained with this shade. Contains hydrogen peroxide, phenylenediamines (toluenediamines), resorcinol and ammonia. See bottom of pack for full list of ingredients. Avoid contact with eyes. Rinse eyes immediately if product comes into contact with them. Do not use to dye eyelashes or eyebrows. Rinse hair well after application. Wear suitable gloves.